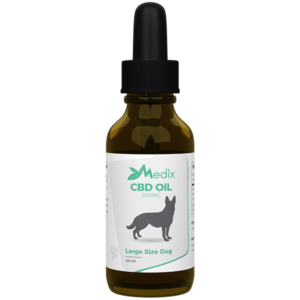 Medix CBD Hemp oil for dogs is a high-end tincture infused with delicious bacon flavor. This mouthwatering tincture releases a smoky, sizzling scent and a savory flavor that translates into a dose of meaty tastiness that your dog will love. Feeding Instructions: Feed your furry companion a serving in its food, treats, or water bowl once a day. Additional servings may be needed depending on your pet’s condition or response. Sizes available: All in 30ml bottles.